Welcome to the Crawford County Prosecuting Attorney website. I am honored to represent the citizens of Crawford County. Hard work and integrity are the keys to success. This office works hard for you, the citizens of Crawford County, every day. 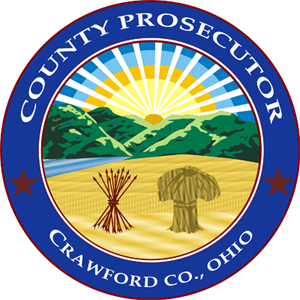 The Crawford County Prosecutor’s Office is dedicated to serving all the residents of Crawford County. In order to bring the guilty to justice and exonerate the innocent, I and the three assistant prosecutors work very closely with law enforcement to prosecute criminals while giving victims a voice in the court system. 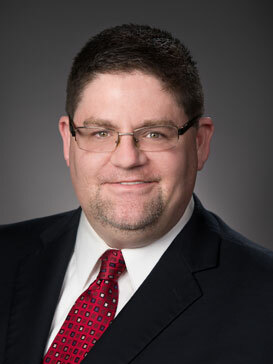 In addition to advocacy in the Courtroom on criminal cases, the County Prosecutor serves as legal advisor for the elected officials of the County and Townships. The County Prosecutor also advises the Board of Elections, the Board of Health, the Board of Developmental Disability, and Job and Family Services. According to Ohio Law, the Prosecutor also sits on the Budget Commission and the Data Board of Crawford County. Please feel free to contact this office by calling 419-562-9782. Crawford County Prosecutor Matthew Crall has announced the indictments of 39 new cases from the December Grand Jury. Nineteen of those cases are directly related to drug abuse. The third member of the Detroit quartet that was busted for counterfeiting two months ago pleaded guilty in Crawford County Common Pleas Court Wednesday morning. Routinely, criminal felony cases now make their way through the courts in Crawford County faster than they do in neighboring counties. Last week’s trend of prison sentences spilled over into this week as Common Pleas Court Judge Sean Leuthold sent four more people to spend time behind bars.